Professional Line of Dance Shoes made by Very Fine Dancesport designed for professional competitors and dancers. 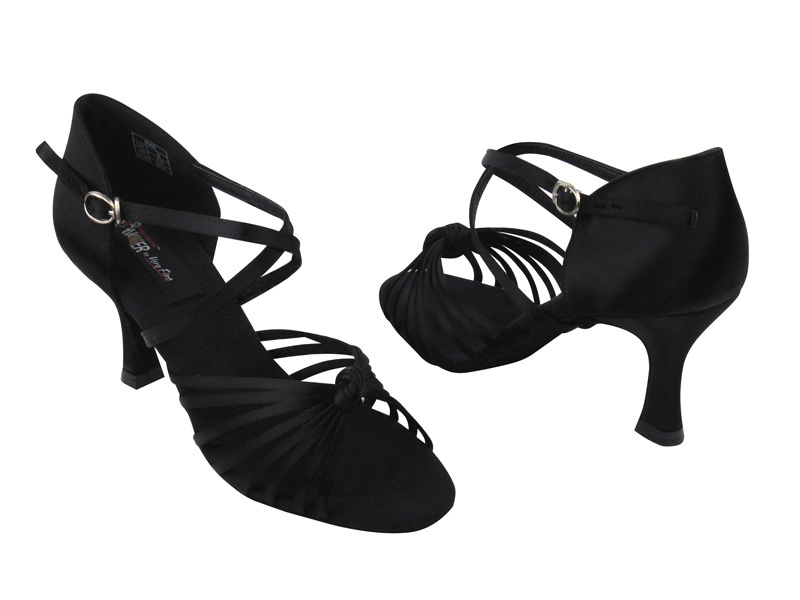 Heel -25: 2.5" Flare Low Heel, matching Dark Brown Satin covered and with plastic toplift. Heel -30: 3" Flare High Heel, matching Dark Brown Satin covered and with plastic toplift. Non-slip insole made with certified nano-fiber that deodorizes the shoes after long hours of dancing. Extra padded footbed using latest memory padding technology provides both comfort and long lasting. Extra thick memory padding designed to absorb shock and provides strong resistance against high pressure and pad deformation. It lasts average 10 times longer than other major brands. Special exterior fabrication/satin made for water/oil/dirt RESISTANCE (3R = 3 Resistance), and easier to clean than traditional satin used for dance shoes.